“It’s a Southern thing,” he said, “from Tenesesse, and my friend Greg”. 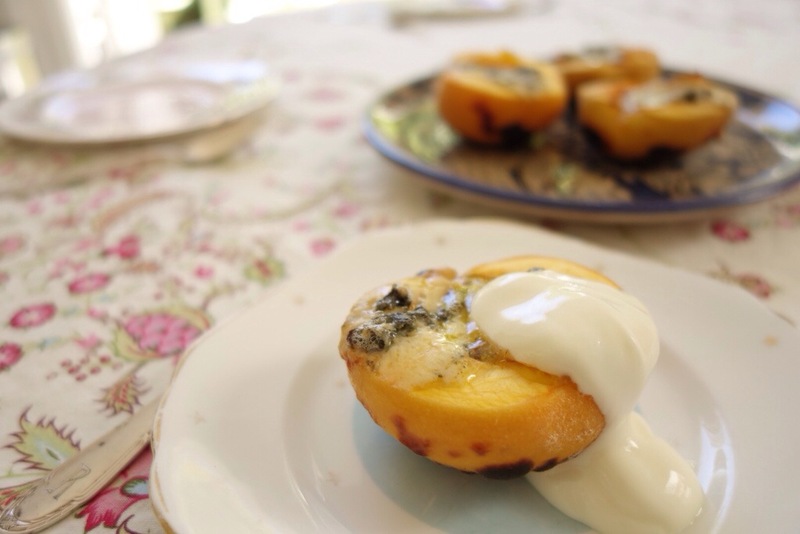 ‘Cos I was startled, my cheesey friends, when my brother suggested a dessert of peaches with blue cheese and yoghurt. But what a marvel! The sweetness of the peach, the earthy richness of the blue cheese, cloaked with smoky barbeque, cut through with creamy tart yoghurt. This dessert corrals all the late summer flavours into a simple, yet surprisingly sophisticated dessert. Even better it’s quick and easy. I’m not even sure this is a recipe, more a technique, as many of the best ones are. 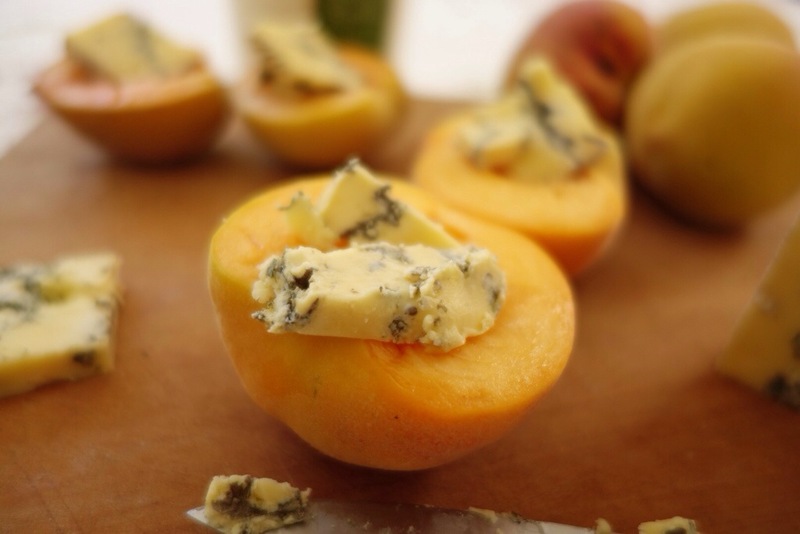 Halve and destone the peaches, add a slice of blue cheese. You don’t need much cheese, the size of a small stamp, not quite half a centimetre thick. If anything I used too much. Pop them straight on the barbeque and close the lid. Done in about 5-7 minutes when the cheese is melted and thr peach has heated through, its skin taking on a little colour. Let them sit and rest a just bit before serving. It’s like the peach and cheese need a minute after the shock of their juxtaposition. The flavours soothe into each other, and are much better for it. They’ll still be hot just not piping hot. 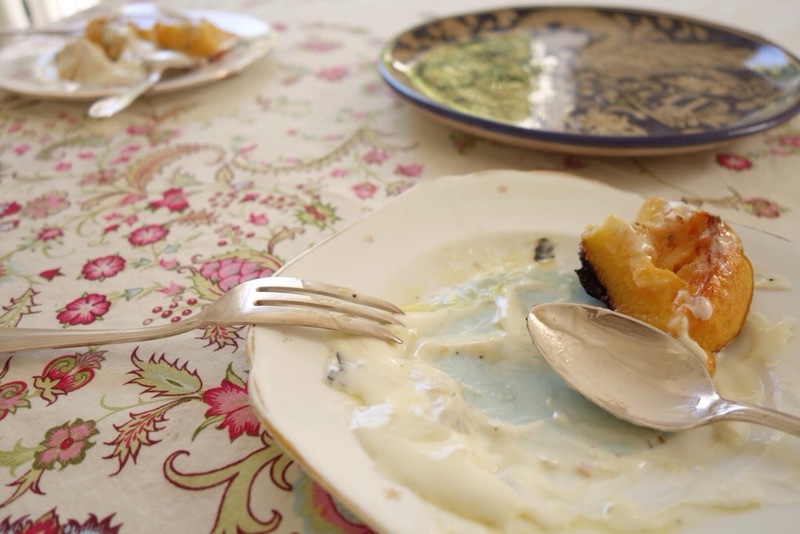 After they’ve rested a little, dollop on some excellent thick, Greek-style yoghurt. Serve and prepare to be delighted. You’ll want to use 1 peach per person, and I’d advise having a spare on hand, because they are a such revelation, and sometimes you just need a little bit extra to be sure. 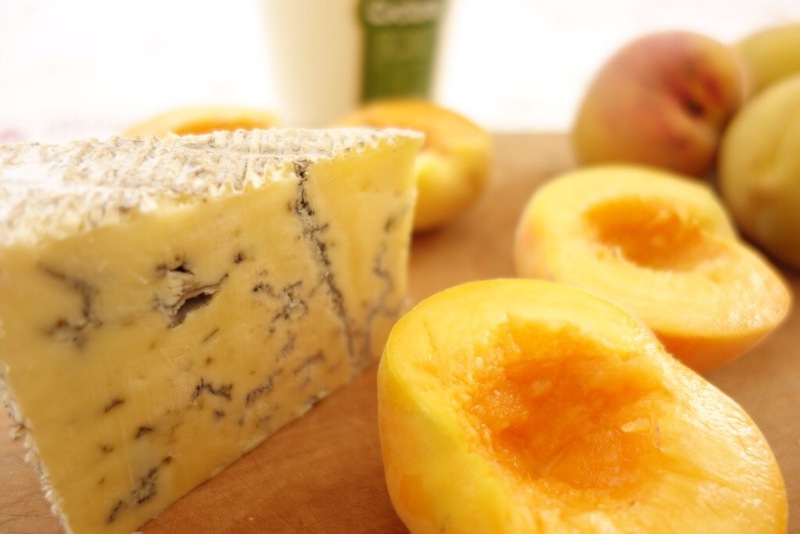 I used Golden Queen peaches and Whitestone Windsor Blue, and my brother Matt, a great cook, used white flesh peaches with Kapiti Kikorangi, His were a little more delicate than my slightly more robust version. Both were delicious. 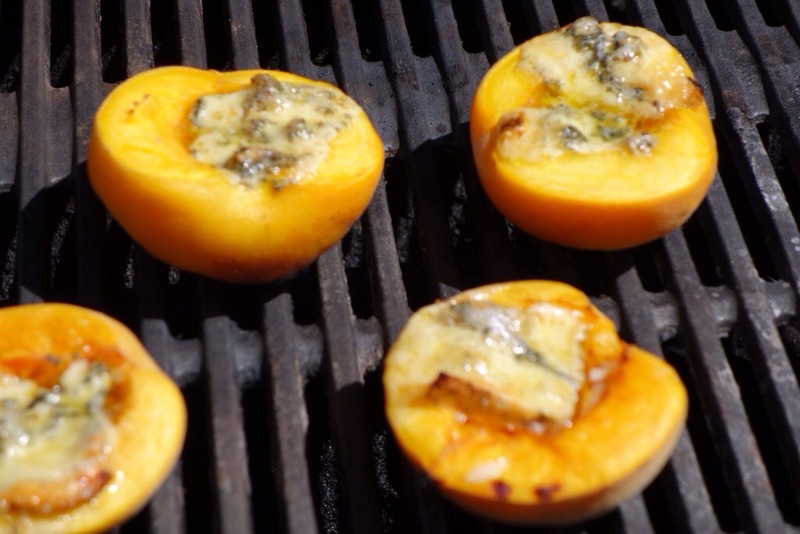 If you aren’t in the barbeque mood you can do these under the grill. Just slice a wee bit off the bottom of the peach so they sit flat on a tray. I suggest a Gewurtztraminer with this, a sweet and spicy companion. 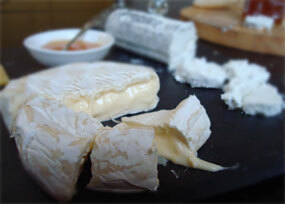 Previous Previous post: Taleggio: Italian stinky deliciousness – molto bene!